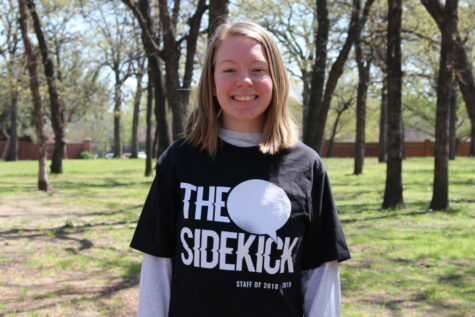 Claire Clements, The Sidekick editorial page editor, talks about her experience as a dancer and explains why she decided to quit. Before quitting in September 2017, Clements danced for eleven years. I do not consider myself to be a spontaneous person. Ranging from what socks I am going to wear today to what colleges I am going to apply for, I like to sit and think hard about something for an extended period of time before making a decision. So it came as quite a shock to everyone I was close with, including myself, when, within an hour of the thought entering my mind, I quit dance in September 2017. I had been dancing for 11 years. But I did not just dance, as dance was my life, quite literally. I cannot remember a time where I was not in the studio after school, either in my tap shoes, jazz shoes, ballet shoes or barefoot. How could a decision to end something that had lasted so long be made so quickly? Maybe the decision was not quite as quick as I thought. There were so many different reasons that had been becoming apparent to me in the last few months, and the moment where I seriously considered quitting was just the culmination of these events. While some dance shows and movies exaggerate our eating lives, the pressure to remain skinny and fit is always there. The pressure ranged from watching only the skinniest dancers get shown off by the teacher to subtle comments dropped by our teachers about every dancer needing to have abs at this point in their career. Everytime I ate anything, ranging from salad to ice cream, I felt guilty, felt I should not be eating it. Of course, I told myself I was being silly, but that feeling of guilt would always linger and essentially ruin the pleasure of eating. Then there was the pain and injuries. 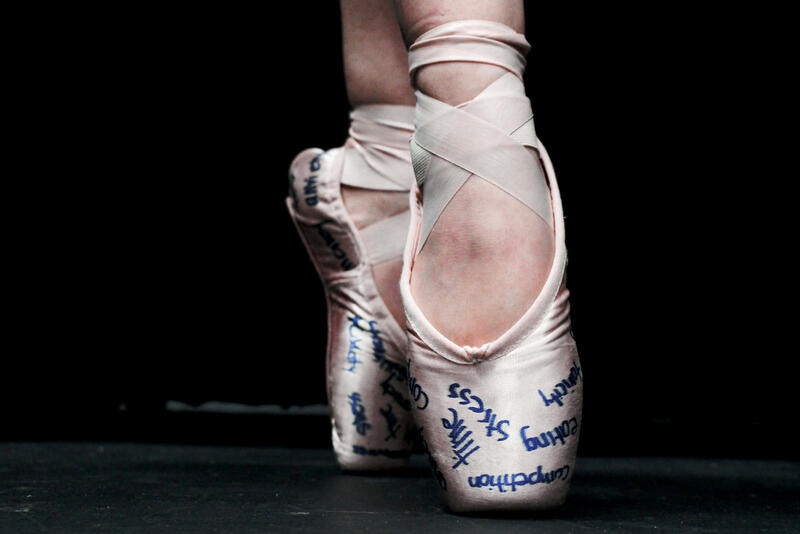 Any physical activity has pain, of course, but what I endured with my pointe shoes truly felt on another level. Not to mention that my nails, and feet in general, were destroyed by the shoes. Yes, you got used to the pain, but familiarity did not reattach toenails to feet. And injuries? I will never forget how I felt when I dislocated my kneecap after smashing it into the floor. Of course, I still performed in recital, which was four days after this injury, because I could not let my friends or teachers down. Not to mention the amount of stress and anxiety it caused. Dance helped me burn out the stress from school, but what could be done about the stress I received from dance? Nothing. I was constantly worried if I would be good enough for my teacher, if I was jumping high enough, if they would call me out for mistakes in front of the entire class (as they so often did). All of this was caused by the need to compare myself to everyone else in the class. However, at least all this pain and stress was only for short periods of time, right? Not really. If you were not in the studio, you were stretching, working out or even just thinking about dance. But the moments you were not in the studio were few and far between. 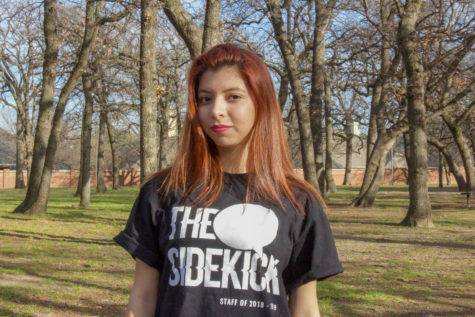 I barely had time for homework or studying, and after I joined The Sidekick, which took up a good portion of my time, it was a well-organized and time-efficient miracle that I was passing my classes, much less getting A’s. Then there were the costs. Not only were the prices of classes high, pointe shoes cost $60 and upward (I went through a pair a month), my Nutcracker performances usually cost around $300 and my recital was generally $100 or more. Keep in mind, both performances happened once a year, totalling roughly $400 on my performances alone. When I lived in Irving, the costs of dance included gas prices. It was truly a miracle that my parents did not have to work multiple jobs to accommodate this budget, along with other expenses. The cherry on top of this sundae is the culture of dance was toxic. However, such toxicity was not instigated by the students. As a matter of fact, I rarely heard or saw anything hateful or cruel happen between students, as the majority of us were friends with each other. Toxicity was instigated by our teachers’ choices and our parents’ choices. The show Dance Moms is an extreme example of the existence of gossipy moms, and our teachers’ all-too apparent favoritism could seriously damage self-esteem. And while we were all friends to each others’ faces, certain girls who did not meet the high standards of the dance world were gossiped about frequently. All of this to say, it was not entirely bad. Not all teachers were toxic, and dance was not just this soul-draining plight every dancer had to face each day. Dance was dance: fun, emotional, a fantastic way to make friends that I still keep in touch with and if nothing else, a great workout. However, there comes a point in which you start to drown in all the darkness and you cannot see the light anymore. In a brief moment, in the studio, it came to me. I knew if I stayed in dance, I would be miserable until I quit. I would also be miserable if I quit, but only for a short period of time. So I went home and told my mom to unenroll me from my classes and then I simply stopped going. Initially, I was ecstatic. But then the initial excitement and newness of it wore off, and it was depressing. My old friends and teachers shamed me. I should not quit, they claimed. I just needed to learn how to handle it, they claimed. Oh, everyone can get a little tired with dance at certain points, that does not mean you just give up, they claimed. I also had so much energy and nowhere to put it. I genuinely could not sit still, and it would take hours for me to fall asleep. I also let my diet slip, and was eating nothing but junk food, causing my skin to break out and my weight to increase at alarmingly fast rates. Most of all, I missed dance and my dance friends. As tiring as dance was, it was a great way to relieve stress, and now I had nowhere to turn when I needed to get all of my emotions out. But I adjusted. I learned where to expend my energy and time (writing a lot of Sidekick articles), learned how to manage my diet while still eating what I want and learned that, if I want to stay friends with my dance friends, I had to force myself to schedule time to meet with them. Joining dance is not something I will ever regret, regardless of its problems. I made so many memories that could never be tainted with sadness or toxicity or anything. We live in a culture in which quitting something makes you a bad person, a loser. While that is sometimes applicable, quitting something that harms you, physically or mentally, or something you simply cannot enjoy anymore, should not be something you need to feel ashamed about. Proud of you Claire! You are my hero.